Know all about the health benefits of a rowing machine and look forward to an amazing and fruitful workout session with a rowing machine. If you are a newbie, selecting an appropriate exercise program can be difficult initially. When it comes to using a rowing machine, you must know that it is an efficient way of improving your overall health. Not just that, rowing machine can be tried at all ages. It is an exercise equipment that mimics the motion of a rowing boat in water and thereby offers you a full body workout. Here we are with a list of top health benefits of using a rowing machine. It is an efficient aerobic exercise: Rowing machine is a great aerobic exercise, which, by experts, is considered to be an overall contributor to health, irrespective of age. It helps in enhancing stamina, plays a potent role in weight loss and offers a boost to your immune system. Endorphins released during the workout aid in improving your mood and sleep quality. Rowing machine is a great facilitator of aerobic exercise as it requires the use of a wide variety of major muscle groups and can raise your heart rate and increase your oxygen intake for an effective cardio workout. Aids in weight loss: A rowing machine can act wonder in burning calories, toning muscles and providing you with an increased energy. 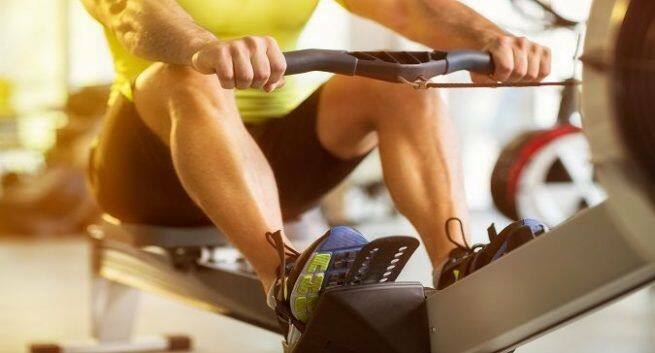 According to experts, a rowing machine workout burns around 600 calories an hour. Accompanied with healthy balanced diet, a rowing machine can effectively help you achieve your fitness goals. Upper-body workout: Rowing machines offer stellar upper-body workout as rowers exercise the rhomboids in the shoulders, trapezii in the upper back and lats in the lower back, say experts. Stronger back and shoulders give you an improved posture as well as a reduction in back pain. Apart from this, rowing machines amp up your biceps, pecs and abs that help you develop a stronger core. You will develop stronger hands and wrists as well. Lower body workout: This is one of the best benefits that a rowing machine can offer. It is mostly considered to be a prominent lower body workout form. It helps in building strong legs and glutes that makes you look amazing. Also, working out the lower body burns calories at a faster rate and is a great way to maintain flexibility and balance.